When you come together as a new couple to start a relationship then marry, you love everything about your spouse and they can do no wrong in your eyes. As time passes and the honey phase of your marriage wears off you begin to see your spouse for who they are and all their annoying habits or traits. Remember you are a spouse too and whether you believe it or not you have some habits your spouse deals with. Any relationship brings two people together that think and feel differently, not to mention express emotions differently as well. No doubt it’s hard to be in a relationship with two different people. Now add having your spouse in the military. I heard somewhere most of the time people fall out of love for the very same reason they fell in love. Look for the positive, for the cup to be half full instead of half empty. How do you add more understanding into your relationship? The Merriam-Webster Dictionary defines to understand as to know how (someone) thinks, feels, or behaves. I believe the way that you add more understanding to your military marriage is by having patience, communicating, compromising, forgiving freely, and not holding things against each other. Realize: You might not always being able to plan events or spend every holidays together but you can share your experiences even long distance. Cope: Use webcams whenever possible! No relationship is easy you have to build and work at your relationship every day because there are situations that can tear your relationship apart if you let it like distance, jealousy or infidelity. With any relationship you have to build it from the ground up keeping those walls strong so they won’t fall under the slightest pressure. Live each day in the present. Remember, there is nothing you can do about the past except learn from it and the future hasn’t happened yet. Needless worry can kill the romance while drawing you and your spouse apart instead of together. Find the reasons why you love each other and show each other that every day. Enjoy the small moments in your life and cherish them. Realize: You will not be able to control or will the military to do anything. Cope: Use your wit, strength, and love to find peace in your life. Just like with any relationship you have to keep trying. Try even when its hard and don’t give up on your spouse because they are always there for you. Agree on the important things in your life and decide what goals you want to pursue as a couple like buying a new, buying a new house, fixing up your credit or starting a family together. Come up with a life plan and figure out how to deal with different situation together instead of against each. I know it’s easier said than done. If you can maintain a healthy friendship with your spouse you are already one step ahead. Realize: Communication might not always be easy if your spouse is deployed or training for long period. Cope: Find ways like writing hand written letters or creating care package for you spouse to communicate while they are deployed. Understanding takes time to sculpt in a relationship but you can do it you learn everyday that’s a great thing. When it comes to the relationship you’re in it together. if you feel like your partner has forgotten how to love you then both have to communicate and figure out how to connect. Communication is 1 part listen and 1 part talking. Everyone gets to be an active listener and an active talker. Express how you feel at the right time in the right atmosphere. Realize: You do not need to lose your sense of self when your spouse’s career in the Military take precedence in the your relationship. Cope: Find your passion and go after it. Comprising means meeting in the middle not necessarily giving up how you feel or what you want within the relationship. Its good talk things out when situation occur and decide together what will make both parties happy. You won’t always get your way but you can try to keep hurt feeling and resentment bay when you comprise on something. Compromising is giving when you can taking when you need to. Realize: All couples have disagreements whether your spouse is in the military or not. Cope: Speak your peace and continue living. You learn early on in your relationship you’re going to make mistakes, everybody makes mistakes, and that’s okay. By learning from those mistakes and grow from your failings in turn helps your relationship become stronger. There will be days when you’re really going to need your spouse to get through whatever situation life tosses you. It important not to let disagreements or arguments linger for longer than necessary. Be forgiving and loving after things settle down and when you can talk to your spouse about things in a calm manner. Hugging always helps too! Realize: You have more resources that you can know you just have search for or ask about resources you need. 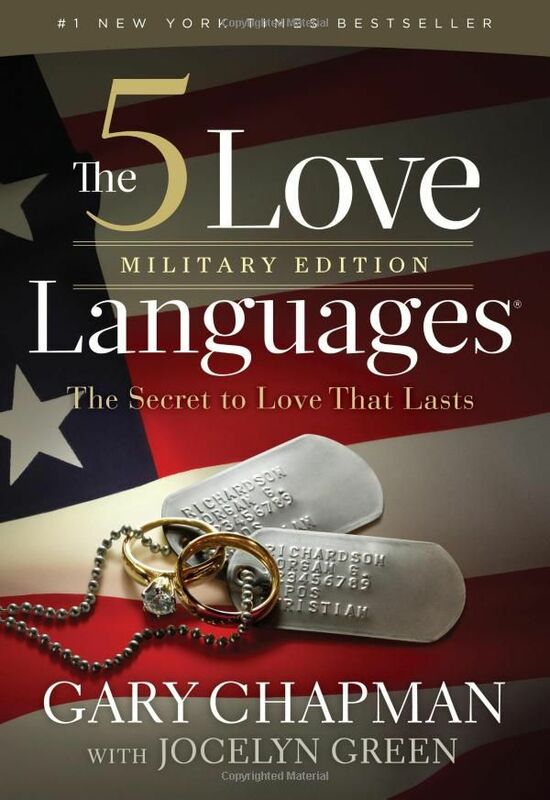 I have been reading the most amazing book about Military Marriage and I am half way done. I highly recommend this book. 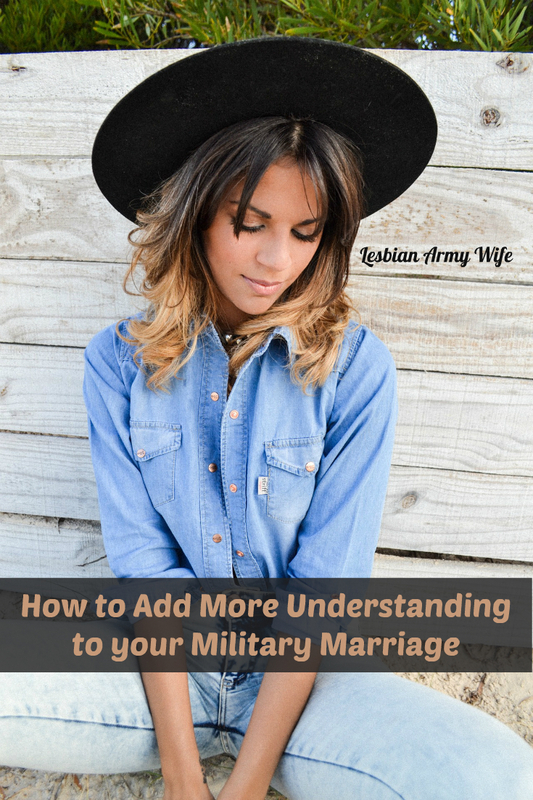 What are ways you add understand to your military marriage? Leave a comment share your thoughts!